We really enjoyed our stay at Ben Macdui and would look forward to staying there again. The large window was lovely to just sit and watch the changing scene over the mountains and Loch Tay. Right from arrival we found that the accommodation was so fresh and clean everywhere. The bed was unbelievably comfortable, the kitchen had everything you could possibly need. Unfortunately what let it down for comfort was the seating in the living area. The leather sofa and chair are very well used and the seat cushions are not good. It has taken me a long time to decide to send this review as I really did not want to complain, or to put anyone off booking this house, it is beautiful, beautiful, beautiful. The area is also beautiful, looks like a painting changing all the time. Oh, and the roads are brilliant to drive around. My wife and I have now been to Ben Macdui 3 times and we will be back - we love the place - the house is excellent and the area around it is beautiful. There are lots of things to do in the surrounding area or you can just sit back and relax and enjoy the beautiful scenery. Thank you so much for taking the time to leave your lovely review. We really appreciate it and are delighted that you enjoyed your holiday so much. The location is superb, sitting on the balcony for breakfast overlooking Loch Tay. Perfect spot for exploring near and far. We were also very lucky with the weather. The house itself was spotlessly clean and felt almost brand new, quality furnishings and everything thought of. All too often holiday rentals let down but this delivered everything we needed. Would book again and recommend without hesitation. A truly perfect holiday home! We had a wonderful stay at Ben Macdui. Good location to get out and about an explore Pershire. A modern and very well presented property with lots of homely touches. Beds were very comfortable and all linen was high quality and the towels were hotel standard. Having stayed in a few holiday homes around the UK we can honestly say that was the absolute best and would happily recommend it to anyone looking for a comfortable stay in a beautiful house with amazing views. Thank you so much for taking the time to leave this lovely review for us. I am delighted to hear how much you enjoyed your stay and hope you will return in the future. We arranged our stay at fairly short notice and Angela at Highland Perthshire Holiday Homes was extremely helpful. 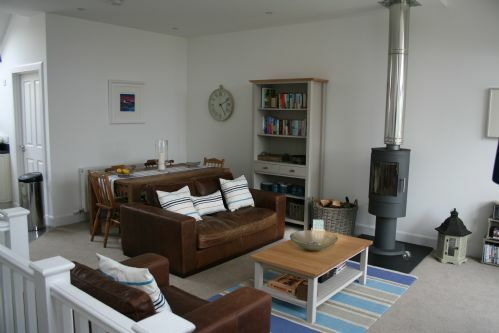 Ben Macdui is very well equipped and beautifully furnished and presented. It is a holiday home you could move into. Ben Macudi was homely, comfortable and very scenic. The views up Loch Tay changed by the hour and provided a dramatic backdrop to our stay. Ben Macudi was presented beautifully and we found ourselves feeling at home straight away. This cottage has everything you would possibly need and more. Lovely view and easy drive to the local village with plenty of places to eat. Beautiful, cosy, modern and great views. Everything was there you needed. Including lots of games to play, books to read, dvd s . Great kitchen equipment at hard. Modern bathrooms and very much like a home.